Many businesses are looking for solutions that will allow them to sell items online through the use of a custom shopping cart, without having to invest a lot of money into setting up a complete e-commerce shopping store. Wareham Web Design has a wide variety of tools, programs and payment processing solutions at our disposal that we use to create a comprehensive online store for our clients. With all of the versatile options and functions available to choose from, we can implement a powerful shopping application that you can use to sell products, services, online memberships and more. How would you like to be able to sell to your customers non-stop? With an online store, your business can be open all the time, ready to make sales and take orders from customers no matter where they are in the world. Wareham Web Design will set you up with a very simple application that allows you to effectively manage your custom shopping cart, add new products, respond to customer service requests and do so much more. The best part is that most of it is hands-free, worry-free and completely ready to go from the day your online store launches. Our team will help you learn the ropes and show you how to add, delete and make changes to your online store. 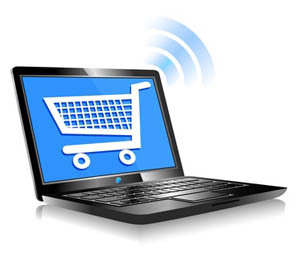 No online store would be complete without having some way of accepting electronic payments from your customers. Choose from a traditional merchant account for payments or accept credit card payments using PayPal, Google Checkout, Payment Express and other popular options. The check-out through your online store will be simple and streamlined, helping to make it easy for customers to make a purchase without having to jump through a million hoops to get what they want. In addition to payment processing solutions and other tools to increase sales, your custom shopping cart is designed to be optimized for the search engines right out of the box. The tools available with our in-house application will help you to boost your rank on the major search engines and assist customers in finding the products or services that they need when they come to visit your site. It all works together with your new website from Wareham Web Design to provide seamless integration of technology, function, marketing and sales. One of the most popular features of our custom shopping cart and online store applications is the ability to provide your customers with multiple shipping options. Giving your customers a choice in how quickly the products will arrive, what service the products will be sent with and the amount of money they pay for shipping will help to customize the entire experience. Catering to the needs of consumers by putting them in control of how they receive their order, will help you establish and maintain a positive relationship with your customers. If you want to find out more about our payment processing solutions, including merchant account payments and accepting credit card payments from popular services, such as PayPal, contact Wareham Web Design direct. Our team of developers, designers and e-commerce experts can help you pick out a custom shopping cart that will help you maximize your earning potential. Call us today at 508-415-8648 or use our online form to submit a question.